This being the feast of St. Cecelia, I want to call your attention to a book by my now retired colleague Thomas Connolly. 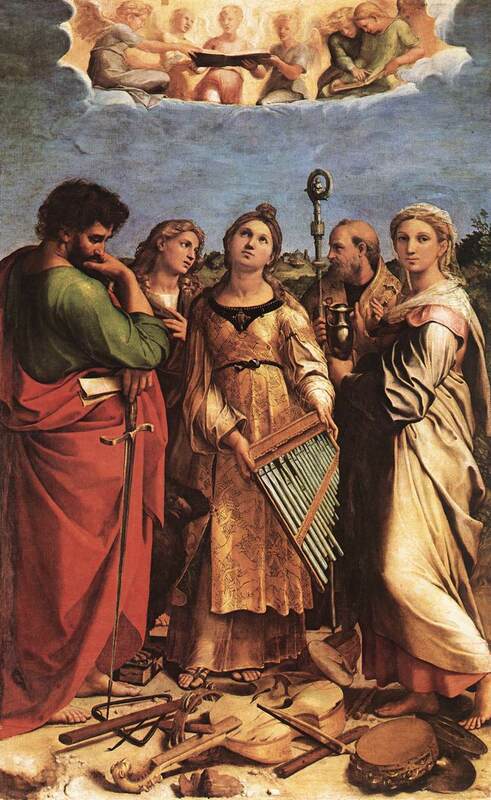 Mourning into Joy: Music, Raphael & St. Cecelia investigates the layers of meaning in the story of St. Cecelia, touching on music, interpretation of scripture, art history, and much more. If you have ever wondered why the portative organ with which Cecelia is often depicted has its pipes arranged in the wrong direction, this is the book for you. (No, I hadn’t noticed it before reading this book either.) Elegantly written and beautifully produced, the book has much to offer readers interested in music or religion or both.